The U.S. Department of Health and Human Services (HHS) Biomedical Advanced Research and Development Authority (BARDA) will provide funding as well as access to subject matter expertise and technical support for manufacturing, regulatory, and nonclinical activities through a $24.9 million, 18-month contract with Mapp Biopharmaceutical Inc., of San Diego, California. BARDA can extend the contract up to a total of $42.3 million. Work under the contract supports the development and manufacturing of the medication ZMapp toward the goal of U.S. Food and Drug Administration approval. The Defense Threat Reduction Agency (DTRA) within the Department of Defense and the National Institute of Allergy and Infectious Diseases (NIAID) of HHS’ National Institutes of Health supported initial work on this product. To speed the development of ZMapp, BARDA will work closely with those agencies. BARDA also will work with the company to optimize and accelerate the manufacturing of ZMapp so testing can be done as soon as possible. With the new funding, Mapp Biopharmaceutical will manufacture a small amount of the drug for early stage clinical safety studies and nonclinical studies needed to demonstrate the drug’s safety and efficacy in people. Mapp Biopharmaceuticals also will work with BARDA on the manufacturing process, increasing production yields and the scale of manufacturing. The project with Mapp Biopharmaceutical is the first BARDA program supporting the development of a product against viruses that cause viral hemorrhagic fever. Even the most advanced potential therapeutics and vaccines for Ebola are entering early clinical trials. BARDA is working with other federal agencies to accelerate the development of Ebola therapeutics and vaccines and to identify ways to optimize and expand their production. 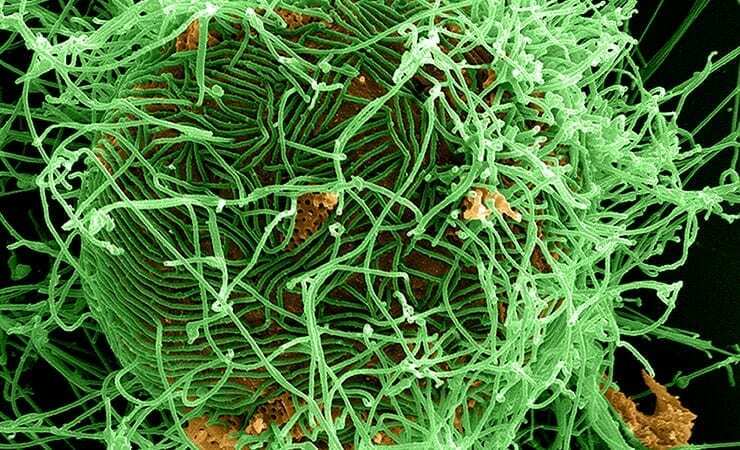 Additional proposals are sought for the advanced development of antibody treatments, antiviral drugs, and vaccines against the Ebola and Marburg viruses, both of which cause viral hemorrhagic fever. Program requirements are described in BARDA’s Broad Agency Announcement BARDA-BAA-13-100-SOL-00013. Source: HHS press release, adapted. Next article Current Respiratory Infection Controls for Ebola Unnecessary? Current Respiratory Infection Controls for Ebola Unnecessary?